"Brings the exuberance of an evening with the piano-playing funnyman into sharp relief. 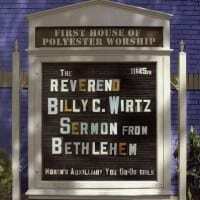 The DVD adds a handful of comedy bits and extended tunes that display Wirtz's madcap stage presence. A brief but interesting interview is alone worth the price of the disc." 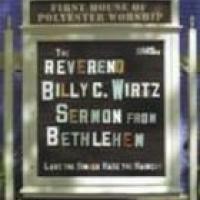 Reverend Billy C. Wirtz's Sermon from Bethlehem (which was recorded at a live concert in Bethlehem, PA) is consistently hilarious. Wirtz's lyric writing and ability to put across his jokes make him seem like a rock & roll Dave Frishberg. 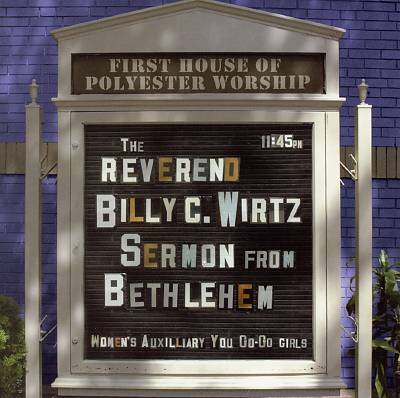 Despite the religious allusions, Wirtz's subject matter ranges pretty wide, including toleration of others, a very witty allusion to his problems with women of all occupations, a tribute to his grandmother (who, according to the story, died while yelling at a televised wrestling show), and two songs that star Elvis Presley. 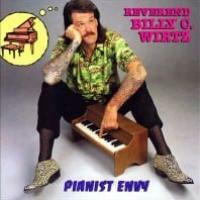 A fine boogie-woogie and blues pianist and an excellent singer, Wirtz is quite entertaining and well worth discovering.